While it’s not technically summer until later this month, the 21st to be exact, I know in my neck of the woods the sun is out and the heat is happening! Summer is my favorite season. I love the colors, the energy and the time outside. It’s time to trade our dark jeans for summer dresses, boots for sandals, and slather on sunscreen when we leave the house. I favor a bold lip color in summer for three main reasons: lipstick is fun, easy and affordable! A statement lip paired with some mascara can be the only make-up a girl needs to wear for a night out dancing. It’s easy to fix if it smudges, a lipstick container is small enough to fit into a purse or pocket, and lipstick is a make-up option that’s affordable with a high reuse value. 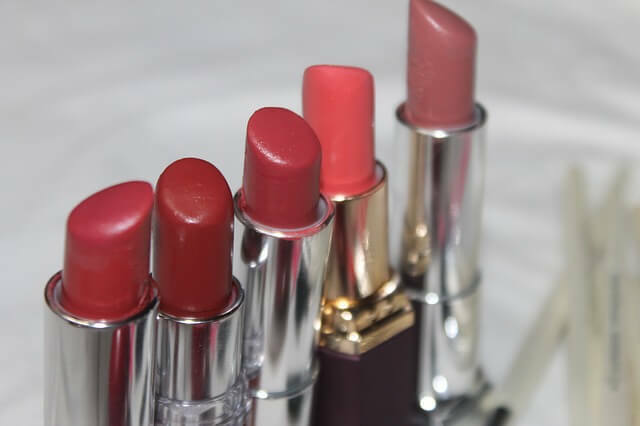 With quality brands and low prices available at drug stores, you can grab a lip color for $6. Sounds like the perfect make-up for summer and for me! I also like to stick with colors that look good on everyone. Who among us hasn’t shared a lip color with a friend at a bar or a party? You want to look good and you want your friend to look good too! Whether you’ve got a Grace Jones skin tone or a Emma Stone skin tone, there are a few shades out there that are universally flattering. Coral is one of my favorite colors on or off lips! I love it for summer make-up especially, as it has a fresh and fun feel. It’s very versatile and flattering for a variety of skin colors. For lighter skinned ladies, the pink in coral works with the pink in your cheeks. For those with a medium skin tone, with olive or yellow tones to their skin, coral can be closer to their natural lip color, so it can be a toned down touch of color. For ladies with darker skin, coral is a great jolt of color, perfect for a fun summer night out! A strong, red wine lip color is a classic no matter what your skin tone. Red lips are a statement make-up look and one of my favorites. Whether it’s to dinner with the parents or a night out with friends, red lips work well in a variety of settings. For dark skinned girls, red highlights your entire face and works with your blue skin undertones. For medium skinned girls, a bright red can contrast with your darker hair. Lighter skinned girls will see more of their rosy cheeks with some red lipstick to accent them. While beige may sound a bit boring at first, this ain’t your grandma’s lip color! Beige lips are fashionable and tell the world that you’re confident enough to pull off a non-traditional color. Plus, they look good one everyone! Beige can wash people out, so look for one with a glossy finish rather than a matte one. What’s your favorite summer lip color?